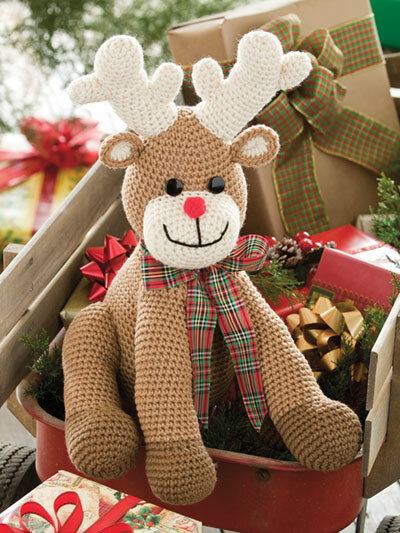 Complete your holiday decor with this supercute reindeer! 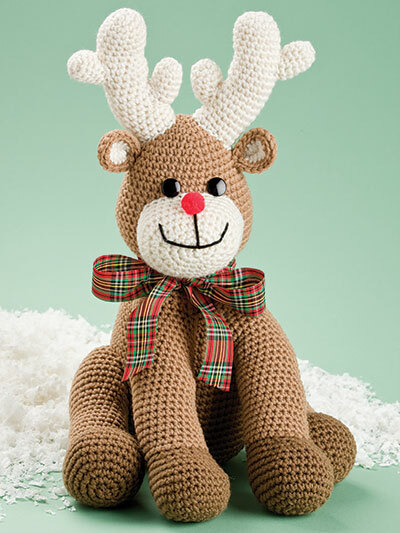 Rudy is made using worsted-weight yarn and a size H/8/5mm crochet hook. He measures 16"T sitting. Design requires fiberfill, ¾" red purchased pompom, two 18mm black flat shank buttons and a 1 3/8"W x 39"L plaid ribbon.